One mausoleum remains at the former location of City Cemetery, due to a family's struggle to keep it there. 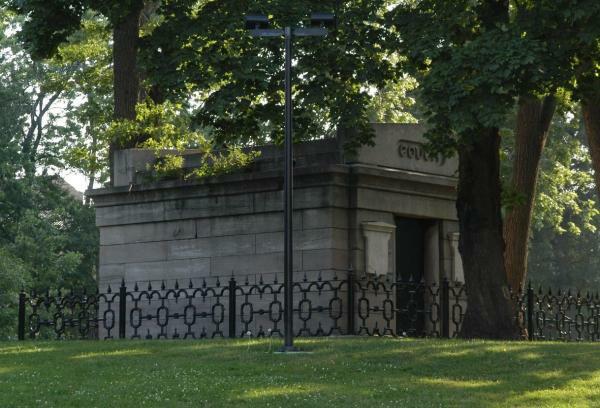 Ira Couch, owner of the Tremont House Hotel, died in 18571, and was entombed within this large limestone mausoleum, designed by John van Osdel2. 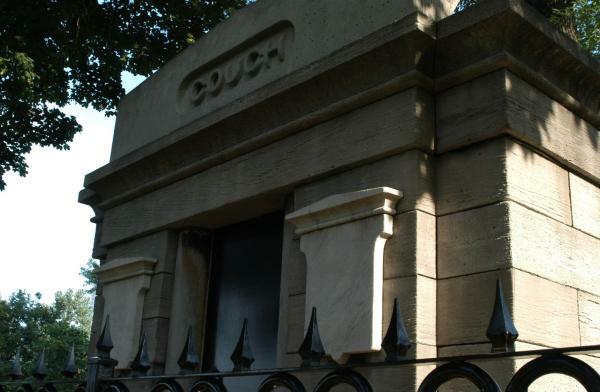 Five other members of the Couch family, and one friend, were also entombed within. When the effort to relocate the cemetery began, the Couch family refused permission to dismantle the mausoleum. They fought the city in the courts, and were successful in keeping the mausoleum intact, even though the rest of the cemetery was moved. 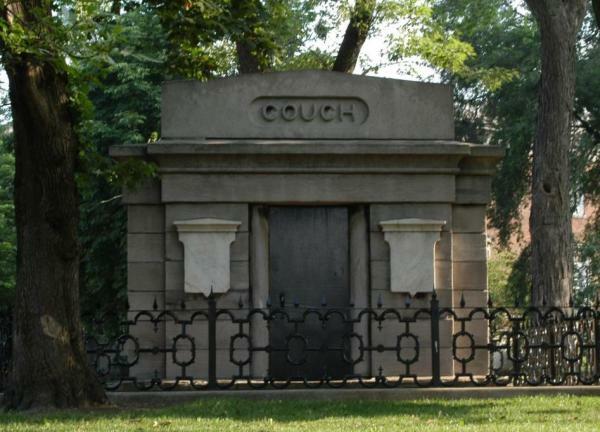 Today, the Couch Mausoleum stands in a large open space, south of LaSalle Street, north of the Chicago History Museum. 1. 1843 Chicago City Directory, Reprinted 1896 by Robert Fergus - "Couch, Ira, proprietor Tremont House, s.-e. cor Lake and Dearborn [died, Cuba, February 28, 1857, aged 50 1/4"